You’ve heard of “The Voice”, “American Idol”, and now “The X-Factor”, an American television music competition to find new singing talent. The show was created by Simon Cowell as part of the British X Factor franchise, the program’s format has numerous differences from its rivals, including “American Idol”, among others.The competition is open to both solo artists and groups and has no upper age limit. Each judge is assigned one of four categories—either girls between 12 and 30, boys between 12 and 30, individuals over 30, or groups (some of which may be formed from rejected soloists after the audition process). Through the live shows, the judges act as mentors to their category, helping to decide song choices, styling and staging, while judging contestants from the other categories; they also compete to ensure that their act wins the competition, thus making them the winning judge. The winner stands to receive a $5 million recording contract and star in their own Pepsi commercial, which will air at Super Bowl XLVI on NBC. The winner of the competition is awarded a recording contract, stated to be worth $5 million, with Syco Music in association with Sony Music Entertainment. A press release on behalf of the show called the recording contract “the largest guaranteed prize in television history.” In comparison to the UK version of the show, where a portion of the £1 million ($1.6 million) prize is used to pay for the costs of recording and marketing the winning artist, these expenses will be paid for separately from the $5 million initial contract payment offered on the U.S. show, which will be paid in five annual installments of $1 million. The show’s September debut earned 12.5 million viewers, which was less than the premiere of the comedy Modern Family, the leader of the night with 14.5 million viewers. The X Factor held those numbers for the second episode. In week two show ratings climb around 12 million viewers for each episode. The show is Cowell’s baby. Besides being a judge on its panel, he is its creator and an executive producer. X Factor has a lot of competition not only from other TV shows but also in persuading viewers to invest in another TV talent competition like Fox’s American Idol and NBC’s The Voice, which averaged 12.6 million viewers an episode in its first season earlier this year. Cowell says he “got a buzz” when he heard about The Voice. 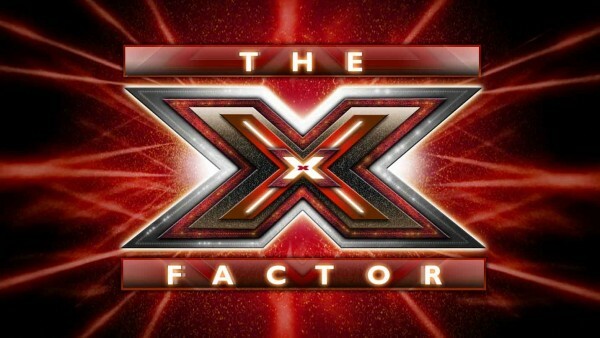 The X Factor, contestants will advance to the boot camp round of the series. Singers travel to Los Angeles to once again sing for the judges and a live audience as they are critiqued on various aspects of performing. Star-maker Simon Cowell wants to make sure the three fledgling females singers that he personally mentored on X Factor aren’t scorched by the intense spotlight of sudden celebrity. Cowell has ratcheted up security for Rachel Crow, Drew Ryniewicz and Melanie Amaro after a recent trip to the mall by the trio turned into a mob scene. Simon has ordered his personal bodyguards to see that the girls never leave the studio without some protective muscle, according to reports. The girls provided some of the most-dramatic moments on last week’s X Factor. Ryniewicz and Crow delivered extremely impressive performances to advance. Crow, 13, did a mash-up of ”Where Did Our Love Go” by The Supremes and “Baby” by Justin Bieber. Ryniewicz, 14, turned in a high-voltage take on Irene Cara’s hit “What a Feeling” from the film Flashdance. t However it was 19-year-old Amaro who really got the crowd going, staving off elimination with a powerful rendition of “I Have Nothing” by Whitney Houston. Security, particularly in the States, has been a concern for Cowell in the past. In 2009, he spent $1million on a state-of-the-art security system for his Beverly Hills mansion. He hired a security firm used by U.S. Presidents that utilized the highest-tech finger print and retina scanners. Cowell tightened up his mansion security in the wake of a 2008 incident in which a fan committed suicide outside the LA home of Cowell’s then-fellow American Idol judge Paula Abdul. The first two-and-a-half hour live show aired on a special Tuesday time slot on October 25; which followed the same format as the latest series of the UK show with each of the judges narrowing their number of acts down to three, without a public vote. The public vote starts with the following performance and results shows starting November 2, 2011 which airs on Wednesdays and Thursdays respectively (except for the live shows on November 22 and 23, which will air on Tuesday and Wednesday respectively). The two-part finale will be held on December 21 and 22. Leona Lewis, the winner of series 3 of the UK X Factor, confirmed during an interview with The Sun that she had been invited to perform on one of the live shows. There was no guest performance during the first week. Outasight performed on the second live show, while the third live show featured performances from Jessie J and Willow Smith. Rihanna will perform on the fourth live results show. Britney Spears and Taio Cruz with Flo Rida will perform on the fifth live results show. The show on December 1, 2011 will have Tinie Tempah performing his hit single, “Pass Out”.